Are you lucky enough to know someone who works for an airline who would give you a coveted buddy pass? A buddy pass lets you fly for free on that airline. But there are rules around how and when you can use a buddy pass. Read on to get all of the details from a veteran buddy pass user. What is a Buddy Pass? Buddy passes are non-revenue, standby tickets provided as a benefit to all airline employees. The employees then share those passes with friends and family. While there is no fee to fly (non-revenue), the passenger who uses the buddy pass must pay any taxes, fees and charges for each leg of the flight. The price will vary from airline to airline. One buddy pass user related this story: A buddy pass for some family members would have cost $160 round trip in fees and taxes. The passengers found full fare confirmed seats for $170 round trip. The comfort of knowing they had a guaranteed seat on the flight was well worth the extra $10. How Is a Buddy Pass Issued? Typically they come in the form of a credit that is adjusted every time the employee books a flight for a friend or family member. An employee may get up to 10 buddy passes per year that expire annually. How Do I Book a Flight Using a Buddy Pass? This will vary from airline to airline and may involve calling a reservation agent to “list” yourself on a flight using a confirmation code the employee will give you. Or the employee can do it for you online. Since you are flying standby, you are not guaranteed a seat. Either the reservation agent or the employee can check flight loads for the dates and times you wish to travel. That will tell how likely you are to get on that flight. A flight that often flies with empty seats is a better bet than a flight that usually is full. Once you choose the flight, your name will be added to the standby list for the flight. You can change your listing up to the time of travel. Experts advise that you check the flight load daily to see if you need to adjust things. Keep in mind, the busiest days of travel are weekends and holidays. The busiest time of travel is afternoon. If you can be flexible and are willing to take a 6am or 10pm flight, then flying on a buddy pass will work well for you. Photo credit: Chris Bird, Standby TravelingMom. Present your confirmation code to the ticket agent or enter into the kiosk for self-check-in to be issued a standby ticket. Should you need to check bags, the ticket agent will attach a special “standby” tag so that if you don’t make the flight, your bags won’t take off without you. I prefer to bring all bags with me to the gate and gate-check them after I’ve been cleared for the flight. If you have checked in early online, with airlines that offer that service, you can skip the ticket counter altogether, unless you are checking bags. Just use the ticket you printed out online to head straight to the gate. If the ticket agent has checked you in, there is no need to approach the gate agent. The computer will show all standby passengers who have checked in. You simply wait for the flight to finish boarding and the gate agent to call standby passengers to the podium to be issued a boarding pass. If you checked in online, notify the gate agent that you are there and on the standby list, then take a seat. Pilots and flight attendants ‘en route’ to work. Full-fare passengers who were bumped from their flight. Full-fare passengers flying standby to catch an earlier flight. Other airline employees and designated family members. Be sure to sit close to the gate and listen for your name to be called. If you don’t approach the podium in a timely manner, the gate agent will call the next standby passenger on the list. Be prepared with other flight options should you not get on the flight. Once the gate agents are free, ask them to list you for the next flight available. It’s important to always have a backup plan. You may end up needing to fly to another city to connect to your final destination, which can mean paying for that extra leg, too. Or you may not be able to get on the flight at all and have to pay for a hotel room for the night. The buddy pass user said she and her husband used buddy passes to come home from Copenhagen on a flight that connected in New York. Bad weather at JFK delayed their flight and they missed their connection. They had to spend the night and, because bad weather had backed up lots of flights, there were no seats available to Atlanta. They checked 27 cities before finding a plane with two available seats. They ended up flying NY-Indianapolis-Atlanta. In addition, if you’re traveling with children, you’ll probably be separated since buddy pass users are the last to board. That is likely to mean everyone sits in a middle seat. Flight attendants are not supposed to ask a full fare passenger to move to accommodate a pass rider. Pass riders also may not ask a passenger to change seats. If a kindly passenger offers to change seats to help you, that’s OK. Finally, there is something called “payload optimum.” That means cargo goes on before pass riders in some cities. If the cargo brings the plane to proper weight and balance, the pass rider doesn’t get to board even if there are empty seats on the plane. Bottom line…you need to have a back up plan and lots of flexibility and time! Airlines have a dress code for all standby passengers including buddy pass travelers. You are considered a representative of the airline and may be required to dress in business attire, or business casual. The employee will inform you of the dress code – follow it closely. You may not be allowed to board otherwise. As a representative of the airline, you are also expected to be polite and courteous to the airline employees. Do not pester the gate agent, they have the power to decide whether you board or not. Where can I change my baby’s diaper on a plane? 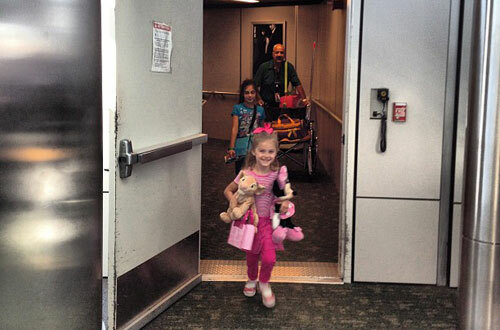 What do I need to know before flying with kids for the first time? What products can make it less painful to fly with a head cold? 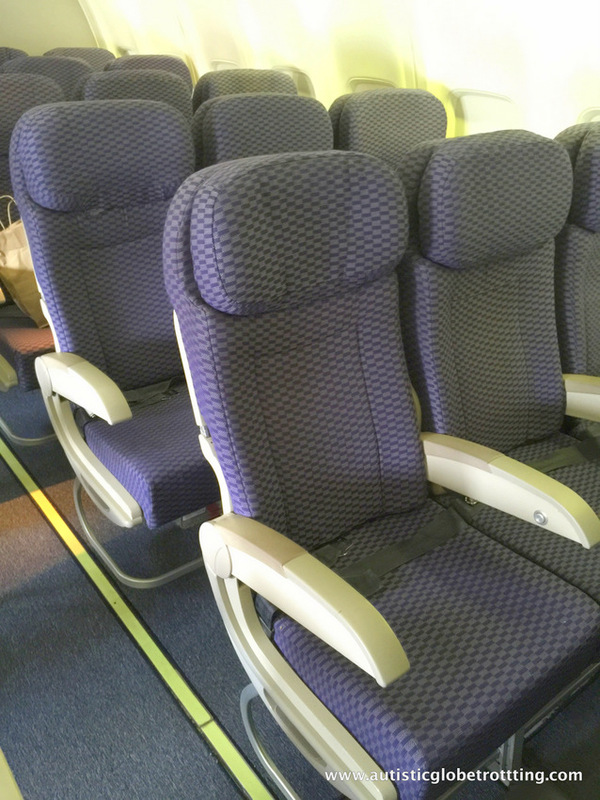 Which airplane seat is best for someone with autism? What questions should I ask before flying with a pet? Saying Goodbye to the Greatest Show on Earth! What happened to the US Air Buddy Pass program? My brother works for US Air and they informed him that he no longer has any buddy passes. This will only apply to international travel. A standby flying domestic that did not make their flight, but checked a bag will have to pick it up in it’s location. The domestic bag will go without you. Do you have a specific airline that you are getting this information from? from Liberia or San Jose (Costa Rica) to Montreal (Canada) round trip on May 18th to 25th best prices? You don’t fly or free on a Delta Buddy Pass. It can be a greatly discounted price, but far from free. For example, Atlanta to South Africa would cost about $800 RT. I fly standby on Delta a lot, and a couple of things operate differently than what you mention. While almost always cheaper than buying a ticket, it’s not free. I believe there are some formulas (trip length based??) to calculate the fare. For example, Atlanta to South Africa comes to about $800 RT. Also, buddy pass travelers are not prioritized by how early they check in, but by the hire date of the person who gave them the buddy pass. For example, I could be at the gate two hours early, but if someone comes in much later– and the person who gave them the buddy pass has been working for Delta for 15 years vs. my person who’s been working for them 10 years– that late-comer gets the seat. I’ve actually been seated ON the plane when they pulled me off because a buddy pass traveler who’s pass-giver had an older hire date showed up! Are buddy passes for one time use? Or are they unlimited stand-by flying for the person who has it? How many passes can a pilot give out? And do siblings and parents of the employee and dependents automatically get buddy passes? Can you fly only on delta with a delta buddy pass?